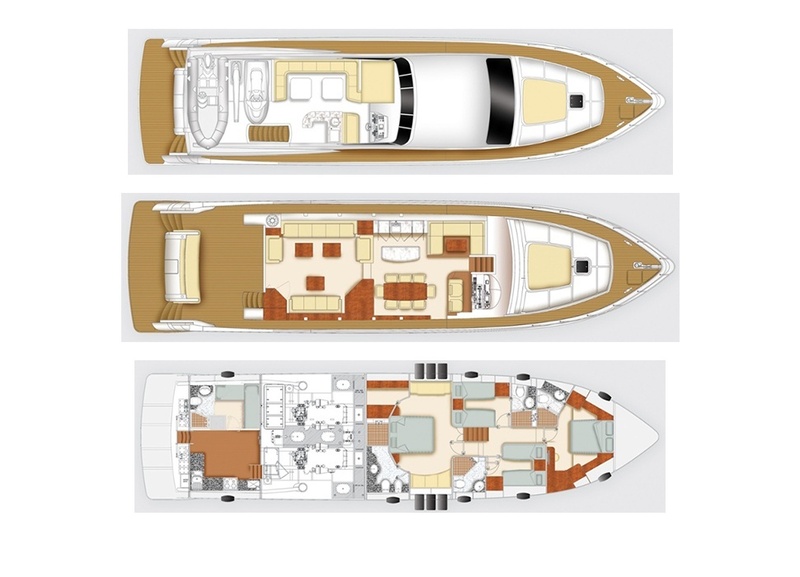 The Majesty 77 is the perfect choice for family cruising or intimate social gatherings. As you step aboard its wooden deck and into the aft seating area in the cockpit, you will immediately be delighted with what it can offer as a luxury home at sea. The interior offers leather furnishings and dark woods, a bar in the large living area and a separate dining area. It can accomodate up to eight overnight guests through its four guest cabins, which include a master, a VIP double and two twin double cabins.